by Gillian Tett, Financial Times, December 12, 2018. (Life and Arts, p. 20, Saturday, December 15, 2018). ‘Debt is still sometimes wiped out in our modern world – through bankruptcies, defaults or sovereign debt restructuring plans – but these events are aberrations, not the norm. If you mention the word “debt”, many people will wince — especially at this time of year. For the holiday season is not just about family and festivities; it is also a bonanza of consumer spending. And when the New Year rolls around, most of us will be rueing that credit card bill. If you want to get another perspective on debt hangovers, read American economist Michael Hudson’s new book . . . and Forgive Them Their Debts: Lending, Foreclosure and Redemption from Bronze Age Finance to the Jubilee Year. In his early career, Hudson worked variously as a Wall Street analyst, think-tank consultant and government adviser, dealing with the 1970s and 1980s debt crises in Latin America. In 1984, he began working at Harvard’s Peabody Museum of Archaeology and Ethnology, where he launched a passionate crusade to re-examine the history of lending. The period that particularly excites Hudson’s passion is the Bronze Age (about 2,500BC) in ancient Sumer, Mesopotamia and Babylon. This era is not well known to most people since about the only things that have survived are ruins and tablets with cuneiform script. 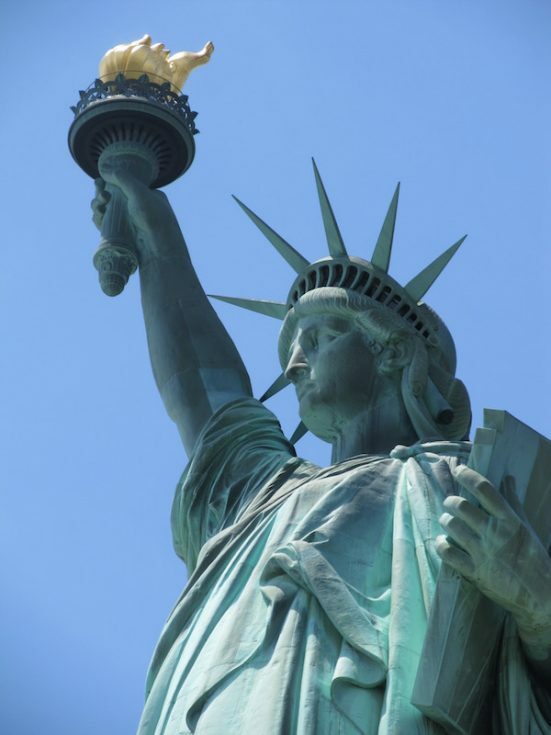 Yet echoes still exist: the Statue of Liberty, for example, reflects the Babylonian practice of emperors holding up a torch when they made a proclamation. The inscription around the Liberty Bell in Philadelphia — “Proclaim Liberty throughout all the land unto all the inhabitants thereof” — also harks back to Babylon. Hudson explains why the phrase has particular significance: “liberty”, he says, does not simply refer to the abstract idea of freedom but to another idea — debt forgiveness. From 2,500BC, the records show that emperors would periodically declare a debt jubilee to restore “economic balance by cancelling agrarian personal debts, liberating bondservants and reversing land forfeitures”. That essentially “wiped the [debt] slates clean”, in a literal sense. This practice did not extend to business-to-business debts — it only affected agrarian debts owed to temples (ie the state). But these jubilees created a safety valve: whenever debt exploded to a point that inequality was creating crushing tensions and harming productivity, the emperor would act. Our modern political economy is shaped by ideas absorbed from Roman and Greek law, and the Romans took a different approach to the Babylonians, choosing to uphold creditor and property rights at almost any cost. “Classical antiquity replaced the cyclical idea of time and social renewal with that of linear time,” Hudson observes. “Economic polarisation became irreversible, not merely temporary.” Debt is still sometimes wiped out in our modern world — through bankruptcies, defaults or sovereign debt restructuring plans — but these events are aberrations, not the norm. Modern finance is predicated on the idea that debts should be repaid. Indeed, the idea of debt forgiveness is so taboo that when leftwing political groups in the US called for mortgage debts to be written off after the 2008 housing crisis, it was quickly shot down. Similarly, there has been little political impetus to write down America’s crushing $1tn-plus pile of existing student debt; on the contrary, under the Trump administration, the debt-relief programmes that already exist for students have been watered down. And you only need to look at Greece to see the opposition in Europe towards the idea of writing off national debt— even when it is clear that this debt will never be fully repaid. The Babylonian mindset seems deeply alien now. There is one area, however, where the modern world does share a thread with the past. Debt today, as in 2,500BC, has a nasty habit of expanding faster than the pace of economic growth, particularly when money is not anchored by anything that is tangible and limited in size (such as gold). Indeed, if you look at the economic history of the past century, it is a story of ever-expanding global debt: so much so that as a proportion of GDP, debt now stands at a record high of 217 per cent, up from 117 per cent in 2008. So perhaps the question we need to ask ourselves as the New Year strikes is not just what we will do with our own credit card bills (or student loans) — but what will happen to the world’s overall debt pile? Is rising debt destined to be a permanent feature of our 21st-century economy? Or will that debt eventually spark hyperinflation, selective defaults — or a social explosion in some countries? Is there, in other words, any way for nations to create 21st-century “safety valves” to cope with the fact that most countries are unlikely to “grow” their way out of debt? The answer is unclear. But the next time you look at your credit card bill, consider Babylonian history; if nothing else, it gives a new twist to our vision of “liberty”.